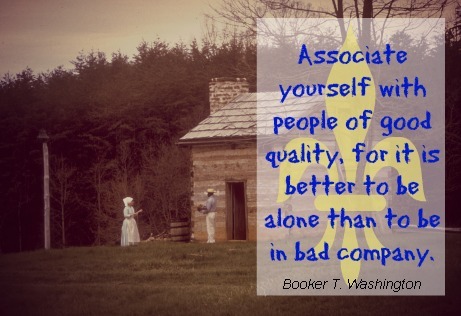 But a visit to the Mormons by prominent educator, author, orator, and presidential advisor, Booker T. Washington and what he thought about them is almost completely forgotten. This year marks the 100th anniversary of Washington’s visit to Utah and The Deseret News recently published an article describing what brought him to Utah. After his two-day visit, he wrote a 2,000-word account for the New York Age, which was one of the most influential African-American newspapers at that time. According to Max Mueller, who is writing a forthcoming paper titled “Booker T. Washington’s March 1913,” the superintendent of Salt Lake City schools visited Tuskegee Institute—the teachers college that Washington founded—and invited him to come and speak. Washington’s visit was evidently in response to an invitation, a curiosity about the Mormons, and possibly a quest to obtain funding for his college. “‘First . . . the Mormons were most inhumanly persecuted almost from the first organization of their church. This was especially true in Missouri and Illinois. Hundreds of their followers were put to death. The courts gave them little protection. The mob that either killed or wounded the Mormons was seldom, if ever, punished. . . . but out of this inhuman and unjust treatment grew the strength of these people . . .
Washington’s observations are also interesting because “at that time The Church of Jesus Christ of Latter-day Saints did not allow its members of African descent to be ordained to the priesthood.” (All worthy males are ordained to the priesthood now.) And because of racially discriminatory policies of the time, Washington wasn’t allowed to stay in the prestigious Hotel Utah.